Ristorante Panorama's Italian grace and insouciance reigns throughout its airy, lively formal dining room and classy-casual wine bar within the Penn’s View Hotel. Chef Rosario Romano's unerring renderings and savory interpretations of Italian classic cuisine soar even higher on bacchanal flights paired impeccably by sommelier William Eccleston. 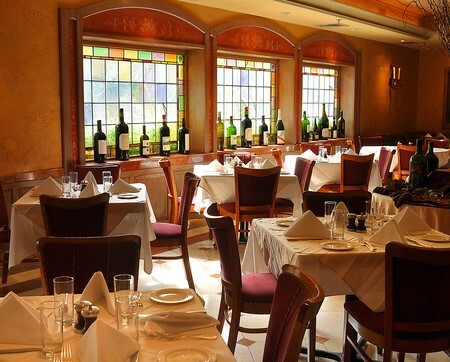 The restaurant’s national oenophile pedigree owes to the 120 different wines available daily by the glass and its yearly tally of 800 different wines on the menu. These in combination with the homemade pastas, authentic veal dishes, and fresh seafood specialties create the perfect escape to the Northern Italian Region, no passport necessary. The streetscape in the vicinity of Front and Market is fluidic, a work in progress. A few decades ago, not many Philly prognosticators would have predicted that just a few blocks to the north, the then-decaying neighborhood of Northern Liberties would morph into a hip, happening neighborhood – coveted turf in Philly's ongoing gentrification. But it has. Meanwhile, Penn's Landing keeps on keepin' on with a constantly improving, competitive restaurant scene – a living diorama where survival of the fittest remains the main engine of evolution. Not everything in this celebrated quarter gets caught in the swirl of change. 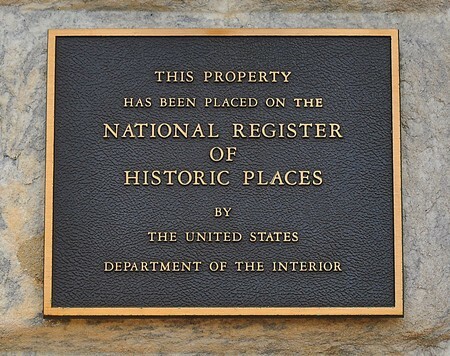 Historical sites like the Betsy Ross House, Christ's Church and Elfreth's Alley abide, preserved as they were (OK, with several upgrades) three centuries ago. Panorama can't match their Philly pedigrees, but then, neither can City Hall or Boat House Row. 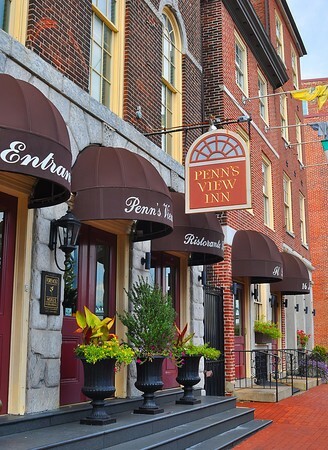 But Panorama, long a bastion for Philly gastronomy as well as a Mecca for oenophiles, has passed its twentieth year of operation despite the whirl of change sweeping the area's shift-shaper dining scene. The reason for Panorama's success? As the French say, "Les temps changent. Les bons goûts restent": Times change. Good taste abides. Good taste at Panorama has been formally recognized by some of the finer national and regional wine and food publications. Wine Spectator, Santé Magazine, Wine Enthusiast, Decanter Magazine, Philadelphia Style Magazine, Philadelphia Magazine, Food & Wine Magazine and a host of others have honored Panorama's excellence in wine since 1991 when Wine Spectator awarded the then-neophyte its “Award of Excellence” and Philadelphia Magazine its “Best Wine List-Best of Philly” Award. Since its boffo début, Panorama has copped enough awards to paper every wall in the place. However, such a garish display would be out of character for this charming eatery where the wine is always chilled and the vibe is always chill-out. A scattering of some recent awards dress the walls of the entrance corridor leading to the main dining room, but no adornments dare distract from two huge eye-catching full-wall murals. One graces the formal dining room, the other the wine bar. Each depicts pastoral, bacchanal Italian scenes and contributes to a transporting vibe of exotica. “Bottle of red, bottle of white, whatever kind of mood you're in tonight” plays its timeless tune at Panorama. 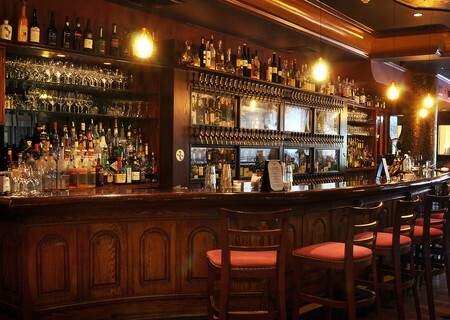 The main dining room is more formal, while the adjacent wine bar feels settle-in casual. That might seem incongruent for a room with plush red wall banquettes, white tablecloths, and three floor-to-ceiling columns inlaid with flashy green tile, yet the space manages to feel like a Tuscan wine cellar. The staff is down to earth and real, and many boast provenances from around the globe which broadens their culinary savvy. The driving force in the operation is William Eccleston, the sommelier who has made Panorama a de rigeur spot for Philly oenophiles. “We have the largest wine preservation and dispensing system in the world as far as we can determine,” William asserts. “Actually we've applied for Guinness Book of Records' certification. Our preservation system pressurizes each bottle with inert nitrogen gas, which allows us to maintain 120 open bottles for an extended time period.” Panorama has since actually received the certification from Guiness and continues to maintain said status. The wine at Panorama changes each week. By year's end, more than 800 different wines appear on Panorama's menu. Each is served in special Reidel over-sized stemware from Germany. William has cobbled several reasonably priced wine flights together that enable tastings of five different wines. The flights are suspended horizontally, wine glass by wine glass, on spokes from a large vertical black rod, like a spiral staircase in a castle where wine glasses are the steps. Since man does not live by wine alone, there's also a heady selection of specialty cocktails which change by the season. Panorama centers the operation on Rosario Romano's Italian menu. 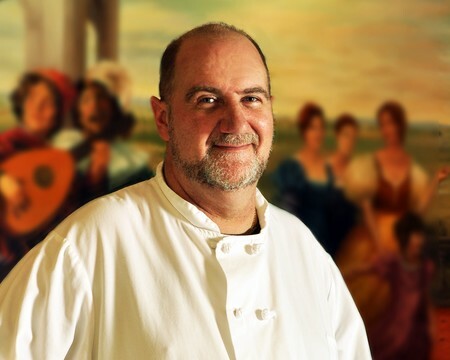 A lifelong Philadelphian, Rosario bases his gastronomy on garden fresh ingredients, peppered with zesty sauces and winsome tweaks on some Italian classics. The Antipasti menu reels with fresh-from-the-garden, as well as the orchard, choices. During fig season, Black Mission figs arrive fresh and succulent from the owner's personal garden. After a kiss of warmth from the oven, the fresh figs–stuffed with creamy Gorgonzola and wrapped with savory prosciutto–arrive tableside atop a tangled nest of micro greens. The pungent cheese melds into the musky fruit and a truffle-honey glaze provides a sparkling sweet finish to a starter heavy on taste and light on heaviness. Calamari alla Panorama yields a net's worth of fork-tender calamari on your plate. The baby squid is served poached in a spicy pool of olive oil, garlic, basil, fennel, and lemon zest, flecked with red pepper. The pepper is purposeful as well as decorative, delivering zippy blasts of heat to the garlicky broth. A soft mound of micro greens pedestals atop the calamari to provide both crunch and veggie succulence to this tender fruit de mer. Several other delicious choices complete a scrumptious Antipasti roster. They include Lumache in Gondola, a savory Italian take on escargots, and Melanzane con Begetali e Fontina. The latter is succulent baby eggplant halves filled with sautéed red peppers, onions, capers and eggplant topped with melted Fontina cheese. It is served with roasted tomato and basil blush sauce. Delizioso. Pasta dishes are available as appetizers or entrées. House-made spaghetti, pappardelle, gnocchi, tortelloni, tagliatelle, bucatini, orecchiette, agnolotti and risotto all grace the regular menu. Each is paired with a classic sauce and seasonal ingredients. Gnocchi con Provola Affumicata is a blockbuster in its own right, the handmade gnocchi confected with potato and ricotta. The combo adds depth without compromising the pillow-light texture that characterizes the genre's elite. Of course, to complete a dish the sauce also has to rock. At Panorma, a delectable tomato sauce flecked with fresh basil bolsters Italian claims that the San Marzano plum tomato with its bittersweet taste is the top tomato choice for sauces. Both fresh and smoked Mozzarella are added to this mélange for their particular formaggio riffs. Though clothes do not make the man, the sauce that clads great gnocchi – well, it sure helps. Rosario is expert at choosing the right pasta for the right job. That's the hallmark of the expert Italian chef: Case in Point: Bucatini Modo Nostro. A powerhouse pasta that is surprisingly rare in many Italian kitchens, bucatini, long hand-rolled tubes, score on delicate texture. In this dish, the bucatini is the ideal pasta platform for the crackly bite of smoky pancetta tempered by the sweet hit of sautéed onions. Rosario chooses the slightly less sweet import, the Mount Vesuvio tomato, as the sauce base which heaps high and red atop a logjam of noodles. Elongated shards of Fiore di Sardo, a mildly nutty, piquant cheese similar to Pecorino, add tang and taste. Reminiscent of menus in Italy, the selection for the Secondi Piatti, or second course, offers mostly meat choices: chicken, pork, veal, lamb, and filet. For the seafood lover, there’s always the Pesce del Giorno beckoning with the seasonal catch and a variety of creative preparations. Vitello Mandolese features veal pounded into uncommon tenderness. The thin medallions are layered with prosciutto to dial up some sassiness in counterpoint to the smoothness of the veal. A glistening white cap of fresh buffalo Mozzarella carpets a woodsy topping of porcini mushrooms enriched with homemade truffled butter. A side of soft, herb-scented eggplant parmesan complements the meal. 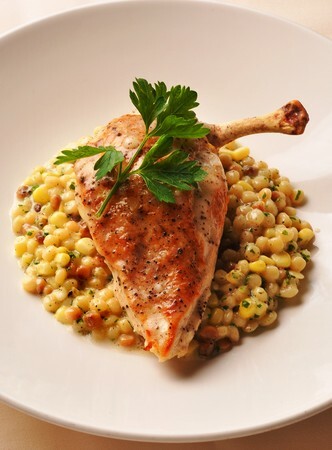 In Pollo al Forno con Fregola, an oven-roasted boneless chicken breast glimmering with olive oil perches atop an ample mound of tender Sardinian pearl pasta counterbalanced with kernels of crunchy sweet corn. The pièce de résistance is the ambrosial black truffle sauce that irrigates each mouthful with the subtle earthiness that makes this a truly memorable dish. Costate di Agnello con Menta is a tantalizing presentation of three succulent lamb chops sautéed in Madeira wine sauce. Served alongside an equal-sized continent of roasted fingerling potatoes and tender-crisp zucchini, they swim in a pool of fresh tomato sauce. Whiffs of mint emanate from the butter coating the lamb and dial up the richness of each forkful. 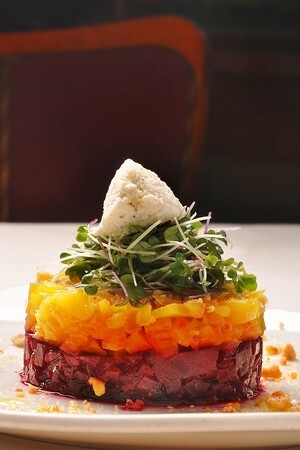 Yet the vegetables are so delicious, even a lifelong carnivore might be tempted to engage the veggie hemisphere first. 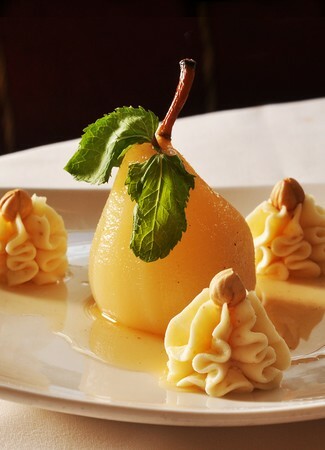 For a sweet finale, the Poached Pear delivers on taste and presentation. The glimmering pear sits proudly in a lip-smackin' pool of Moscato syrup. The pear is stuffed with superb mascarpone cheese and topped with sprigs of mint. Three dollops of whipped cream, each capped with a hazelnut, form a triangle around the pear. The exquisite flavor and texture stands up to the elegant plating. Fibers are practically nonexistent, and the Moscato-based syrup harmonizes ideally with the mellow taste of the mascarpone. Yes, 19 years of excellence and counting. To Panorama's neighbors like the Betsy Ross House, that's newfangled. But that kind of longevity in this restaurant 'hood – or any other – is star-spangled. Insider Tip: Wine flights are an absolute highlight of the full Panorama experience and are without a doubt a must-try. With a world-record-holding selection, it's like you can't go wrong! Copyright © Restaurant Agent Inc.
Main Dining Room | All Day noon - 10 p.m.
Main Dining Room | All Day noon - 11 p.m.
Main Dining Room | Dinner 5:30 p.m. - 11 p.m.
Main Dining Room | Dinner 5 p.m. - 9 p.m.
What hotel is the restaurant located in? Are there any private rooms in the restaurant? Yes, there is the Wine Cellar for up to 45 people and the Stagione Room for up to 80 people. Are jackets required for men? Everything from start to finish here was fantastic. We went for restaurant week and had a great time sampling the menu. While a little nervous being first timers, we tried the escargot and it was to die for! We will definitely be back! Some of the best pasta I've ever had! The food was absolutely amazing. My wife and I sampled 6 differnt pastas by ordering the appetizer size and sharing. The biggest problem we had was trying to decide which was best. They were all PHENOMINAL! Also, not being knowledgable wine drinkers, we spoke to the waiter at the bar while waiting for our table. He asked a few questions, and based on our answers recommended a flight of wine he thought we would enjoy. He was right on the money. It turned out to be a wonderful night and we will definitely be going back again. I found this restaurant on-line and took a chance. What a treat! The peaceful and lovely atmosphere made me forget I lived in a big city. I only had to explain to the waiter what type of wine I liked and he selected 2 perfect choices. The service was attentive without being intrusive. The meal was fabulous! I can't wait to go back to sample other wonderful wines and meals. The only thing that would disappoint me is if they changed even one thing. Delicious, Fantastic, outstanding... Loved everything about it especially the wine selection! We had a wonderful waitress; mussels were awesome and the pasta dish we had I haven't stop thinking about. Amazing wine selection. Good food and excellent wine service was very good and we enjoyed our meal without being rushed. The Best Restaurant in Philly! Came in to celebrate my Brother's birthday! Had the BEST wine (preserve) and the BEST meal! Food was brought out in record time and tasted spectacular! I highly suggest this restaurant!!!! Always consistent and always delicious. 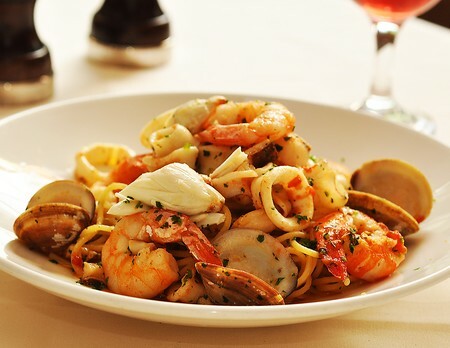 Panorama boasts Italian favorites from pasta to meat dishes. Don't pass up the beet salad and lamb chops. Wonderful venue with friendly staff and a relaxed pace. Oustanding wine selection including some moderately priced bottles. Food is perfect or they fix it. 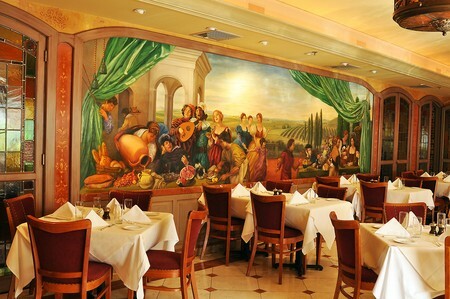 Returned to Ristorante Panorama for Mother's Day. We (party of 4) asked to be re-seated from our original table (too small) and were cheerfully accomodated. The meal as always, did not disappoint. This has fast become our favorite restaurant in the city! Valentine's Dinner at Ristorante Panorama was great. Lovely small Italian restaurant. Risotto was WONDERFUL, lovely staff. this was our first visit, but we'll be back! The atmosphere and dinner was nice, quiet, and romantic. It's a small place but well worth the time. The restaurant was small, quaint, and very romantic for me and my fiancee. The candles on the tables was a nice touch. The staff was constantly checking on us, and we always had what we needed. There was no wait, and the food got to us fast. The only bad thing was all the drunks at the bar being loud and obnoxious. Don't sit near the front door. My wife and I made our second visit on Sun. 2/13. The Valentines Day special for 2 (3 courses, $75 per couple) was an outstanding value. The service was again top notch and the meal was great. You won't find a better wine selection in the city! I highly recommend Ristorante Panorama ! We had a tremendous meal, wine and dessert. It was a bit pricey, but well worth every dollar! The service was outstanding and it was (surprisingly) not busy so we received excellent care throughout the evening. Our Party, was table of 6. I ordered the Cheese Tortellini Soup which was a little disappointing, the soup lacked any color and the broth was more Oil than flavor. Chicken was delicious. 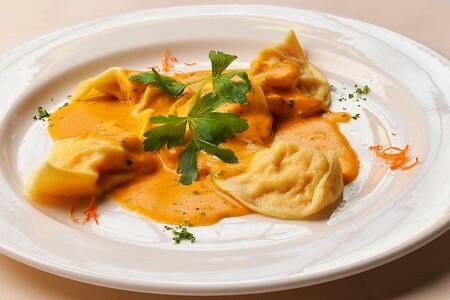 Lobster Ravioli also lacked color and flavor, well over cooked and no flavor in blush sauce. I would go back for a retry, but chef must of been off his game. We visited Panorama based on internet reviews. We are not critical patrons and enjoy being enthusiastic about our selections with the waitstaff. Often their recommendations have lead us to some outstanding meals. We found the food at Panorama uninspired. Halfway through my entree, I commented that this was something that we made at home. Only ours was better. I could pick ten restaurants in Cleveland in the same price range that would offer much more exciting food. I get better lobster ravioli at Costco ! I DON'T DO THIS SORT OF THING. i ANSWERED YOUR QUESTIONS AND THAT'S THAT.